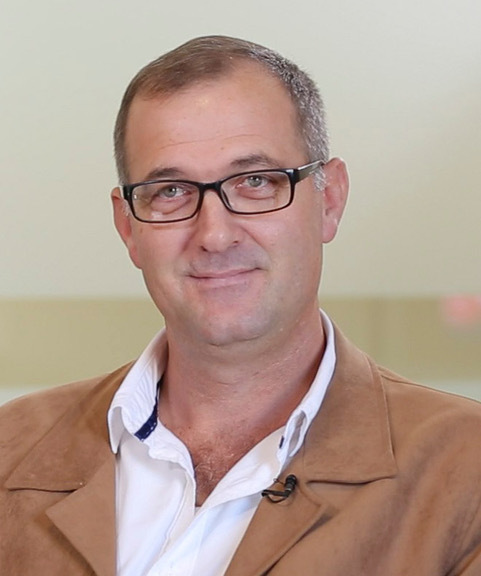 SAFE’s General Manager of Farming Operations, Dries Van Rooyen. Twenty nineteen will be a year of “fine-tuning” their farming and fruit production on SAFE farms to distinguish their product from the increasing competition in key markets, and to grow market share. This is the view of Dries Van Rooyen, SAFE’s General Manager of Farming Operations, who is responsible for running the 11 farms managed by SAFE. According to Dries, valuable lessons about adapting to climate change, as witnessed in the drought of 2018, have been learned. In early 2017 SAFE began installing sophisticated automatic irrigation systems on a number of farms. They also drilled new boreholes and adopted a strategy to review the manner in which crops were irrigated to contribute to safe water. According to Dries, successful farmers will have no choice but to turn increasingly to technology to adapt to changing weather patterns as a result of global warming – leading to higher temperatures and less rain. Farmers will also have to look to science and technology to help reduce the harmful impact of crop disease. An example of this is the leading-edge technology in the fight against crop disease that is being deployed on SAFE farms in Limpopo and the Western Cape with the support of Laeveld Agrochem’s Volumetric spore traps. The “spore traps” detect various wind-borne plant diseases and enable farmers to treat plants to avoid infection. Cultural, biological and conventional control methods are integrated to achieve desired outcomes. According to Ernst de Beer of Laeveld Agrochem, the company has been offering services from soil testing to advice on irrigation. This early notice enables farmers to “optimise their disease control programmes”, increasing yields and profitability. Better targeting of fungicides may also help to reduce the risk of resistance. “There are numerous areas of their operations where farmers can take advantage of advances in technology. By using Volumetric spore traps, we can offer farmers enhanced disease control, lower environmental impact and improved decision making,” says Ernst. Dries is confident that the challenges of 2019 can be met. “We have listened to what our markets require. New plantings come into production this year and we will be able to meet the challenge of distinguishing SAFE produce from other producers,” he says. One of the biggest factors in our success has been finding the right people to manage the farms and run the head office operation. “Creating a culture of ownership among the managers and staff is essential – they should feel they are running the farms as if they were their own – and they do. Farming isn’t just a job – it’s a way of life that you need to embrace wholeheartedly for the operation to be a success, emotionally and profit-wise. SAFE has a distinct advantage due to the fact that we farm right across South Africa – taking advantage of the soils and weather over a vast area to live up to our promise to our markets to be reliable and deliver the best possible produce. “With all these things in our favour,” said Dries, “I am confident that 2019 will be a great year for SAFE.